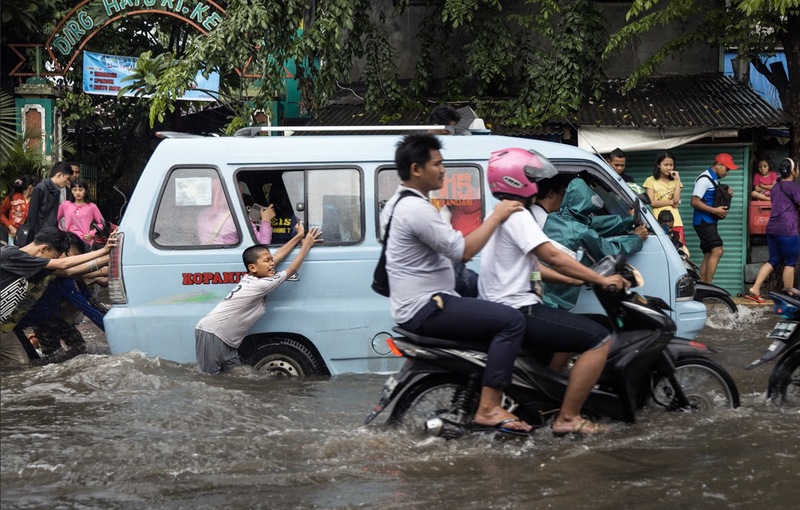 Jakarta is sinking fast between 10-25 centimeters per year. If nothing is done, the city will be permanently under water for a third in 20-3 years. Many water related problems are attributed to climate change and the expected sea level rise associated with this. Subsidence is unknown and will exceed the absolute sea level rise to a factor of 10. 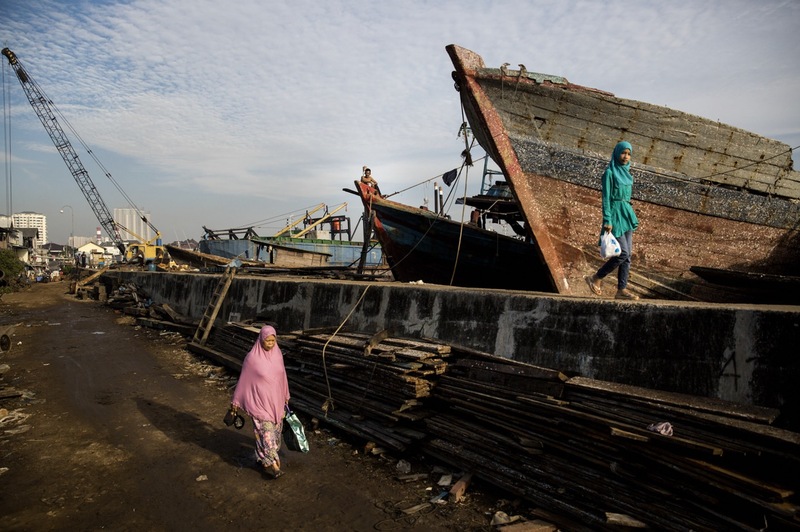 Jakarta relies on an old sea wall to protect the city from the sea. However, due to subsidence, this wall quickly sinks into the ground and offers little protection against the water. Heavy rainfall and a high river water level are already causing problems: the city has turned into an inverted aquarium. The sea is no longer the lowest point, the water can no longer go anywhere. Muara Baru, the district immediately adjacent to the seawall, has dropped by 1 meter in the last 4 years. The residents are not or barely aware of the threatening situation. 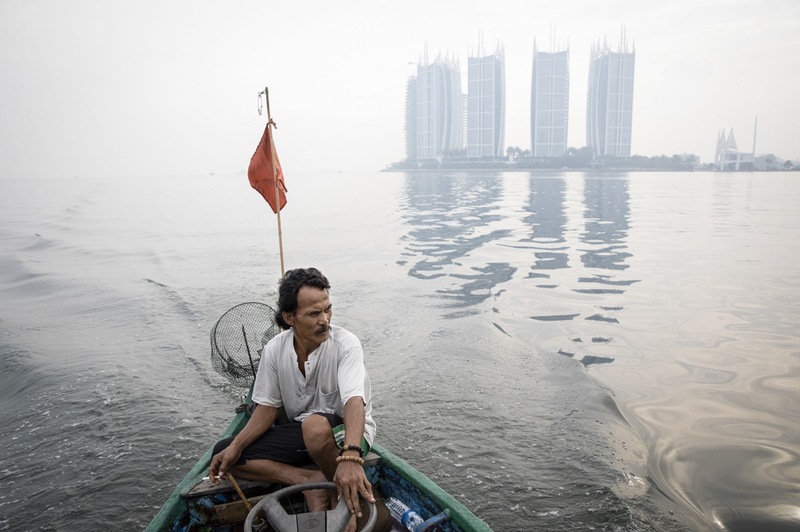 In the bay of Jakarta a new sea wall will be constructed to protect the old one. 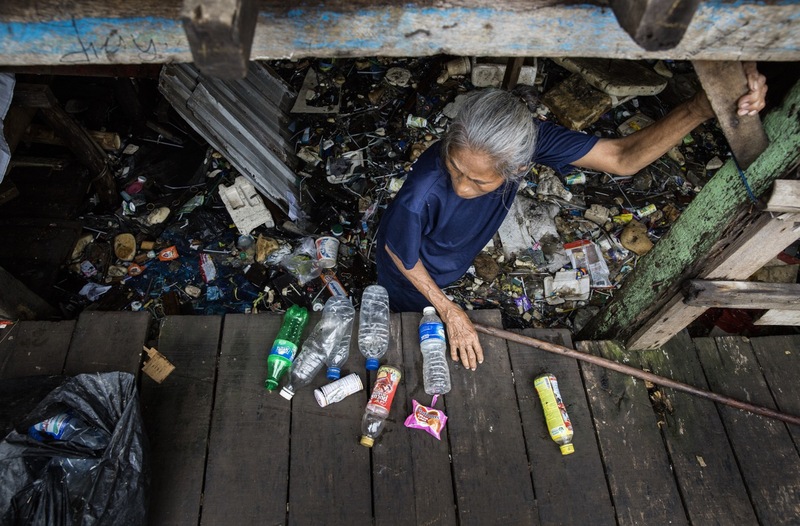 A resident collects plastic from what used to be the floor of her living room 4 years ago. Her house built above the sea quickly drops into the water. Heavy rainfall and a high river water level are already causing problems: the city has turned into an inverted aquarium. The sea is no longer the lowest point, the water can no longer go anywhere. The ever-growing economy needs water. This water must be pumped up from the ground. And is the main cause for the subsidence of Jakarta. February is the height of the rainy season. 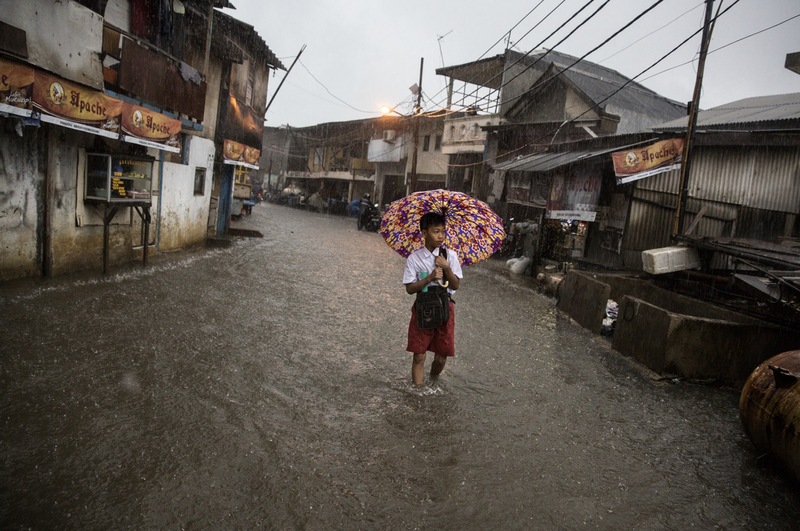 Intense rainfall, a lack of a decent drainage system and soil subsidence cause severe flooding. Illegally built houses on the banks of the Ciliwung flood. The river floods regularly during the rainy season. 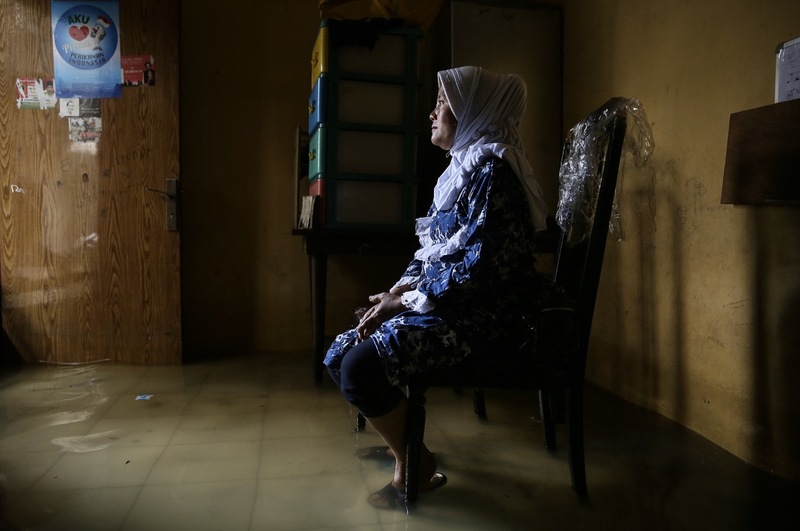 The neighborhoods are 1.5 meters under water and residents have to leave their homes. Anisa is sleeping in her bedroom. The house is built on stilts above the sea. Every year her father has to raise it to prevent it from sinking into the sea. 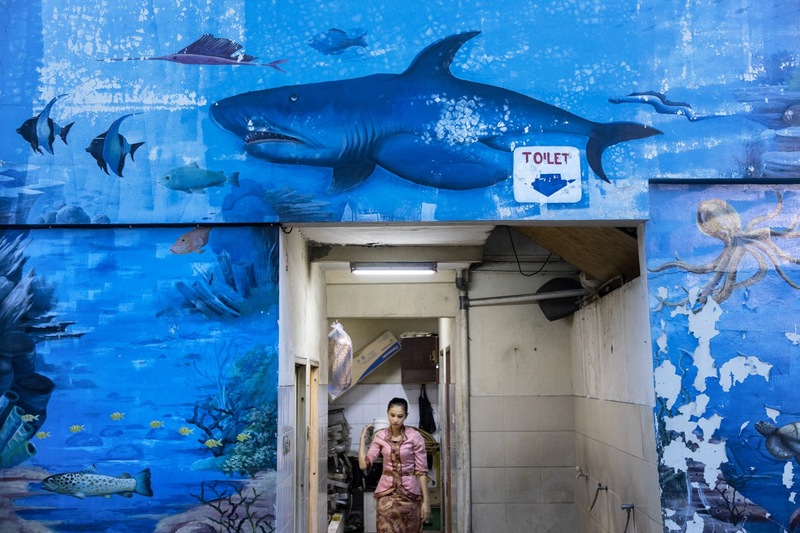 During the rainy season, most of the Kampung Aquarium district is permanently under water. Schools are closed for days and the children play at home in the polluted water. 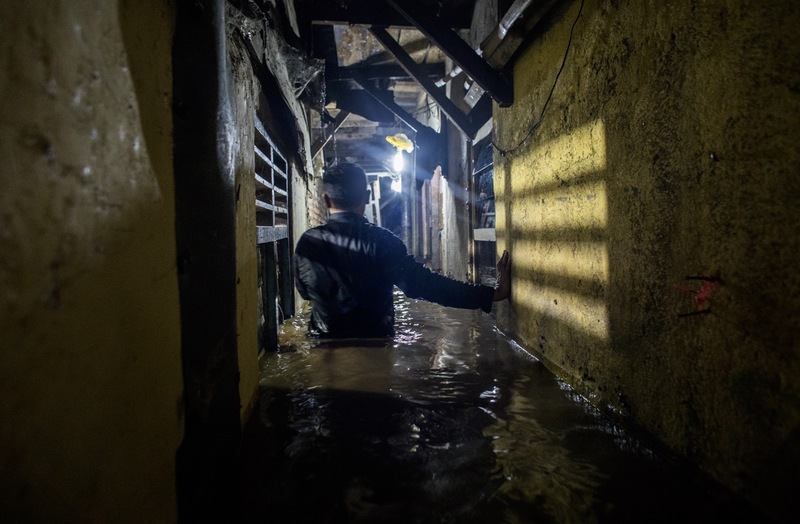 The waterline in the Koran school in Muara Baru is a silent witness to the last flood. 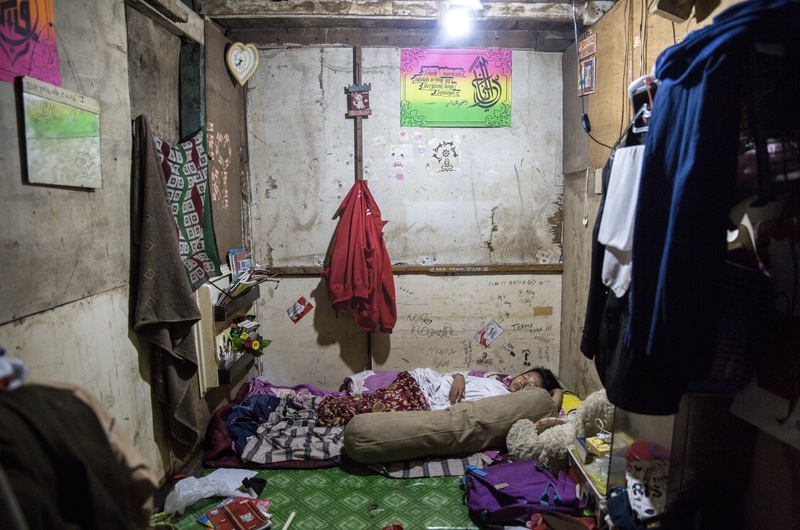 Many Jakartans have no sanitation at home. They use the rivers for this purpose and are dependent on the so-called ‘MCK’: Mandi, Cuci, Kakus, translated bath, washing and toilet. In floods, the city turns into an open sewer. When there is a threat of flooding in the low-lying neighborhood of Muara Baru, residents bring their belongings to the first floor. Mrs. Sarmini is waiting for her husband to help her with the last stuff. 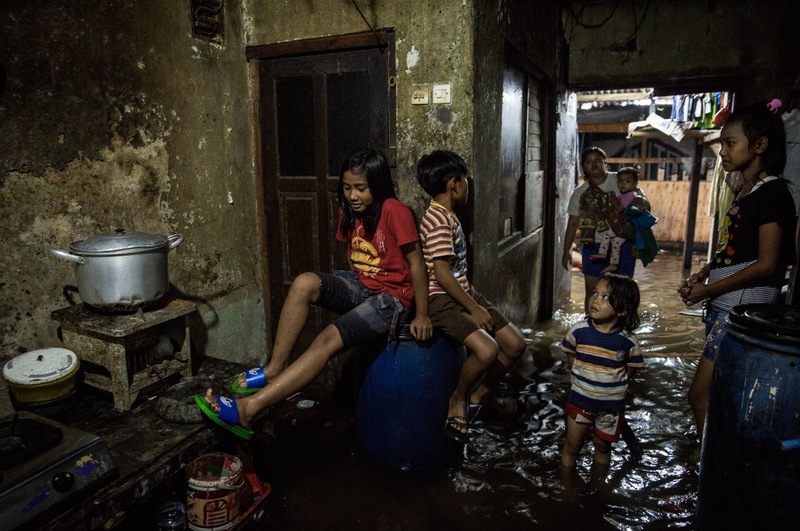 The contaminated flood water causes health problems for many children. “Normally we have 80 to see at the consultation clinic, but when it is rainy season, we have as many as 120 a day” says Ms. Dina at the consultation office. However, Jakarta is not unique. Land subsidence is the underrated threat for the future, it affects many cities also the Netherlands! Vote to give attention that the problem of the residents of ‘sinking cities face.